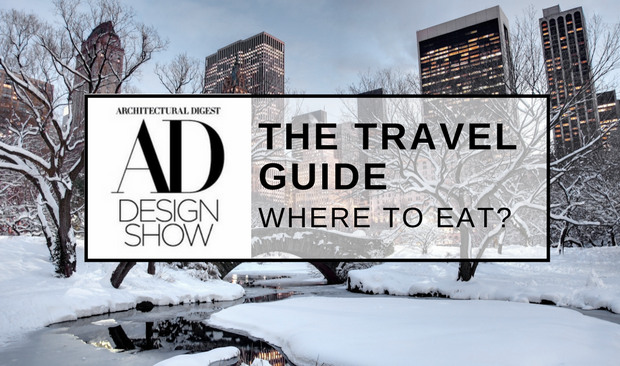 The New York Travel Guide- Where To Eat? If you are hungry and you’re in some sort of situation that doesn’t allow you to eat, although you keep thinking about food: this is the right article for you! 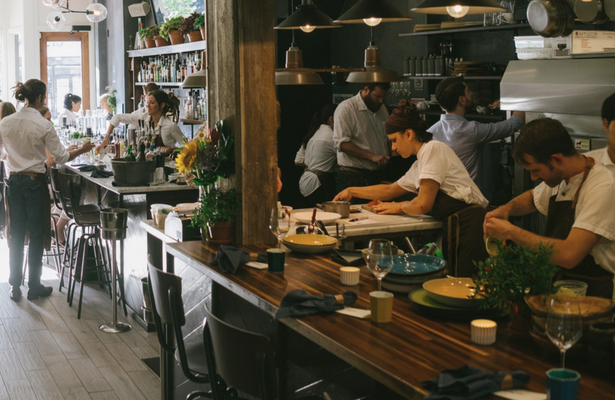 We know you are sick and tired of eating in the same places, right? 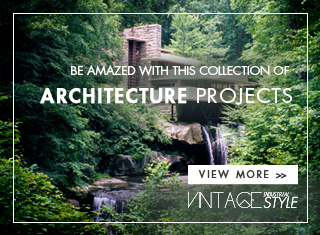 That is why this New York Travel Guide is a must for you! We are about to present to you our top 5 restaurants/cafes/bars/whatever you want to call it, in the city of dreams: the magical NYC. 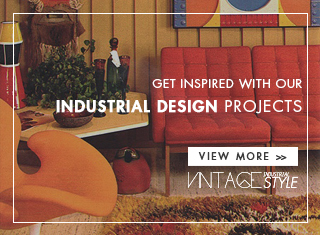 Take notes and takes lots of pictures- tag us on Instagram if you post any of the places you’ll see here: @vintageindustrialstyle. We know what you’re thinking “here they go, doing self-promo again”, well, yeah, and don’t feel bad about it. Enjoy this article, and share your trip with us! 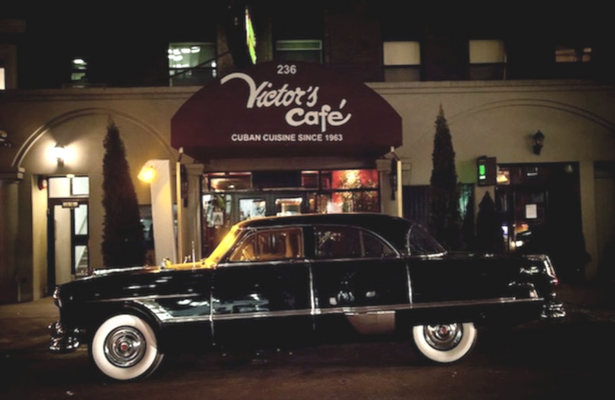 This old-school Cuban restaurant first opened in 1963 and remains an elegant, multi-level destination for some of New York’s best Cuban fare. This is a place that frequently has celebrities coming over. So, if you’re a Hollywood addicted, this is a great place to hang out during AD Show 2018. 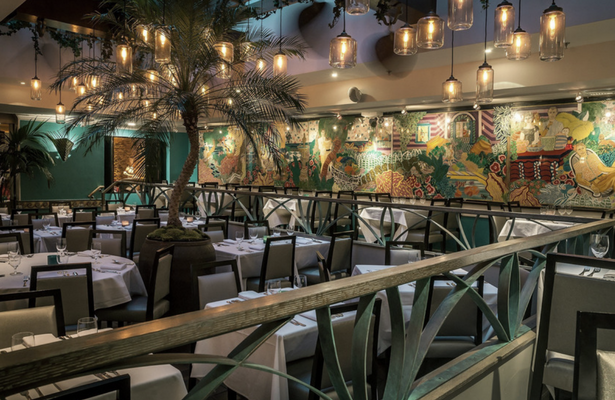 Now run by the founder’s daughter Sonia Zaldivar, Victor’s feels like nightclubs of the 1950s with its live music, tropical restaurant decor, and brightly colored art. 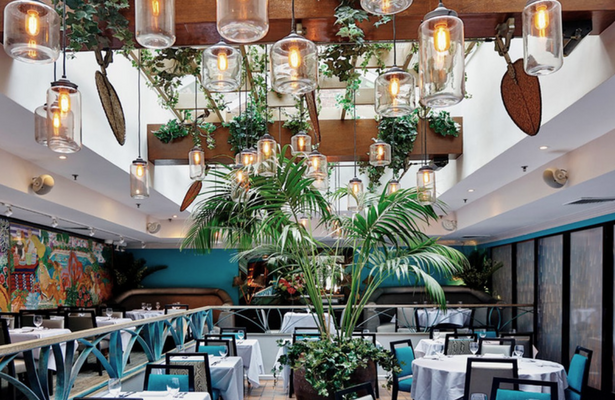 The interior lighting design of this restaurant is actually what made us fall in love with it! 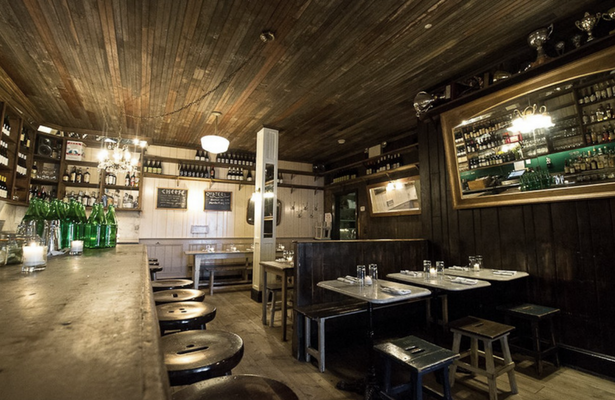 It’s ideal for a celebratory family meal or a special date night, particularly before a nearby Broadway show. Try the ropa vieja, a Cuban national dish of shredded beef, or the Lechon Asado, roast pig with crackling skin. 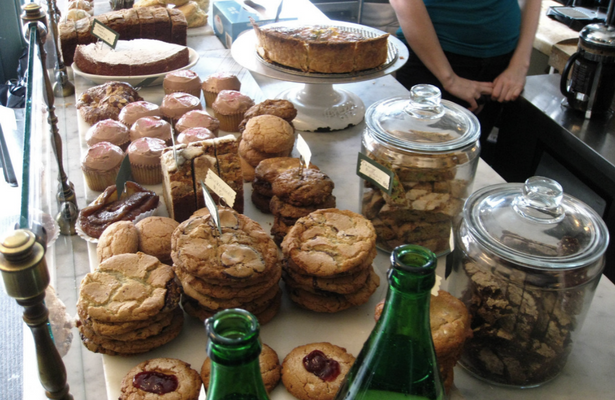 Marlow & Sons has a lively dining room in the back and a sunny cafe in the front serving excellent pastries and great coffee. On the menu, there are plenty of things that are worth a #foodporn tag, like oysters, cured meats, and the famous brick chicken, as well as rustic, seasonal specials. 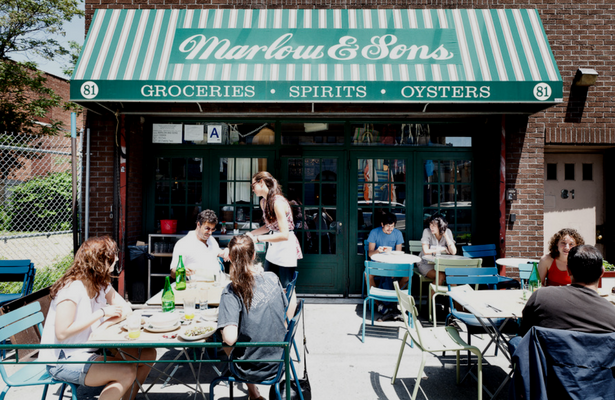 Like its next-door sibling Diner, Marlow & Sons has had an influence that extends far beyond its Williamsburg neighbourhood. This is an amazing place to eat between the Architectural Digest events. Ok, we are not going to lie: this is our favorite! Ok, we just said it! Alinea, Blue Hill, and Per Se alum chef Greg Baxtrom have crafted the perfect 21st-century neighbourhood restaurant decor. 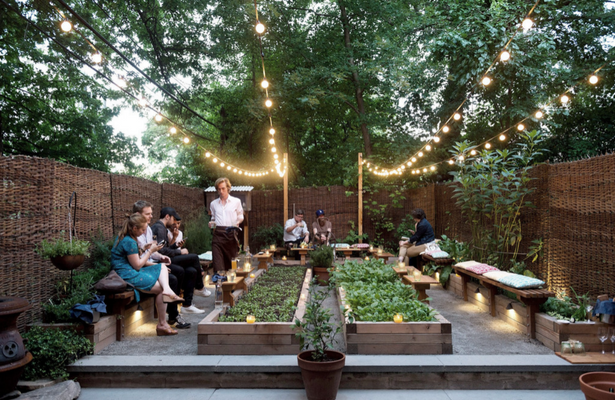 This includes having a backyard garden that serves to both supply the Prospect Heights restaurant with fresh ingredients and provides a charming spot to wait for a table. The lighting designs they have make any vintage style store jealous, I mean, just look at it! 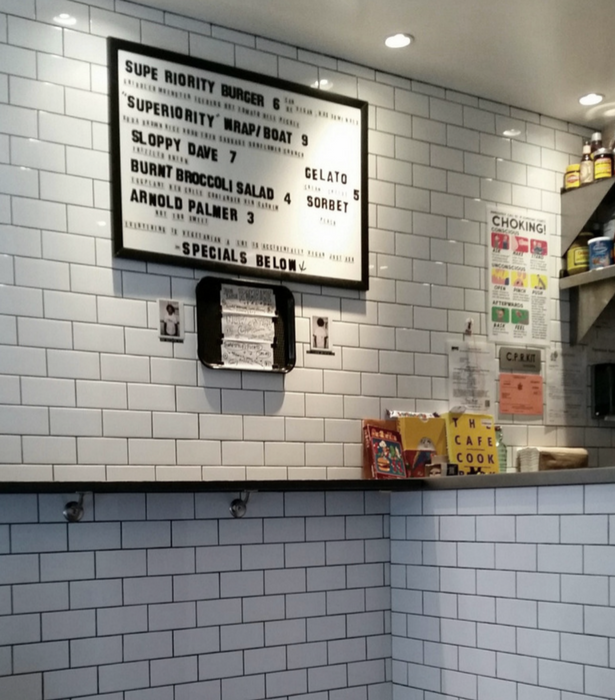 The quirky and often earnest menu is constantly evolving, another #foodporn tag on this one. Must-orders do exist and have included a novel twist on crab rangoon, the carrot crepe, and watermelon sushi. 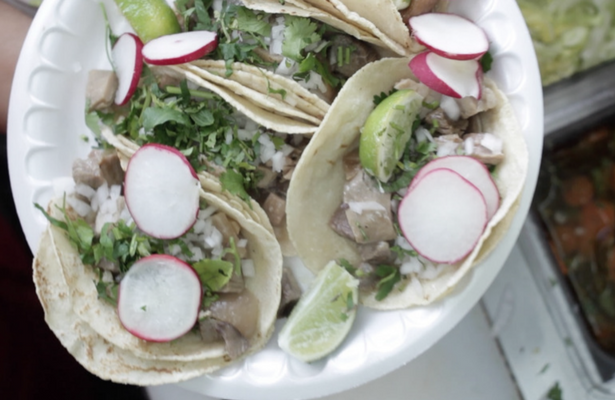 Chef Denisse Lina Chavez has returned to the kitchen of her low-key Prospect Heights restaurant El Atoradero, where she’s turning out some of the city’s best Mexican fare. The neon on the name makes it look cosy and vintage industrial style, it looks like something we would use to our home design, for the bedroom, for example. Architectural Digest Show is such a crazy event, this is the perfect place to chill for a bit. 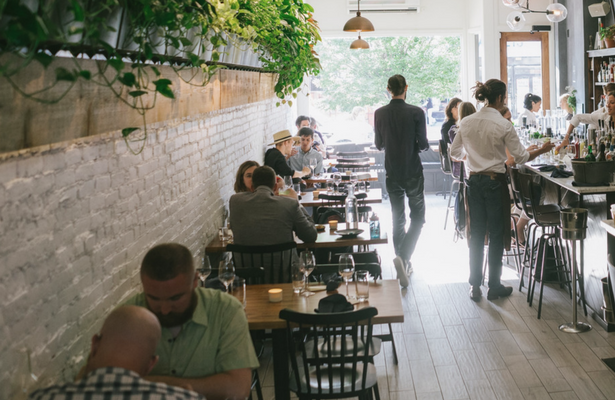 Check-in for a table and then go next door to check out the restaurant’s sibling Madre Mezcaleria, which has a generous selection of mezcal. 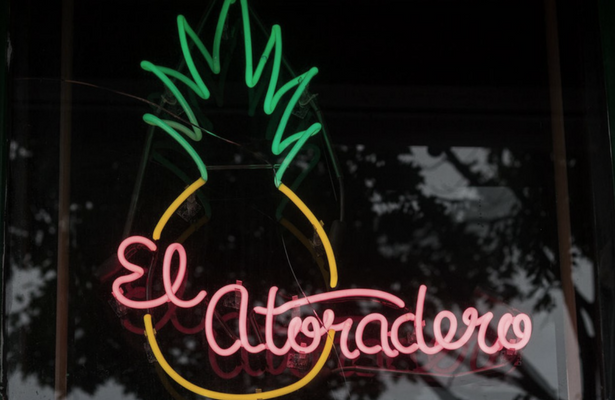 Once back at El Atoradero, remember to try one of the specials, such as the albondigas enchiladas. In terms of food: this is our favorite! 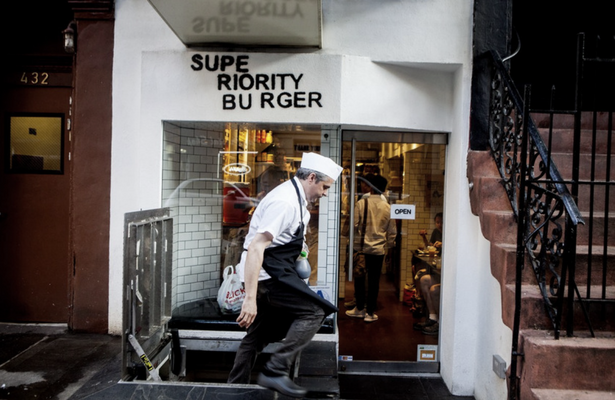 Burgers are life ok? The #foodporn tag on it, again. 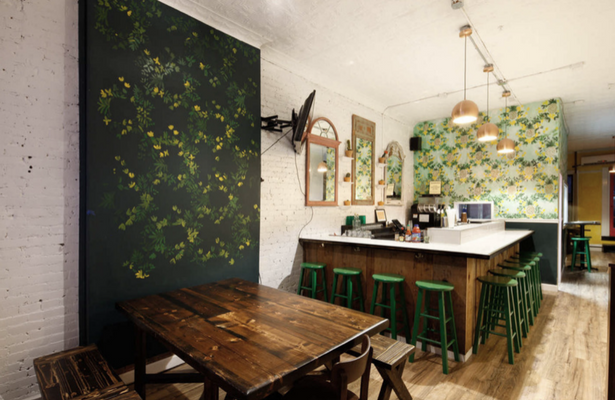 Brooks Headley’s tiny East Village cafe is so much more than a veggie burger spot — it’s one of the best restaurants in Lower Manhattan — because he’s shopping for the finest ingredients and offering the same vegetables served at a fine-dining spot for a far more affordable price (most dishes are under $6). It’s a small place, with a modest restaurant decor, but it’s completely worth it! 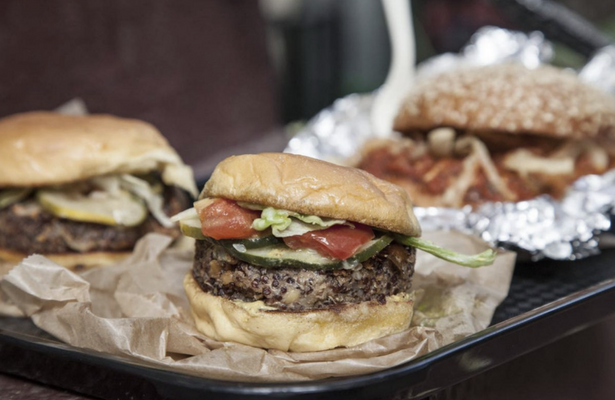 In addition to the must-get burger, go Mondays for the fried tofu, or other days for whatever seasonal vegetable dishes are on offer. It’s a kind of healthy fast food, all you need during the stressful AD Show 2018. Do not miss the spectacular gelato and sorbet!